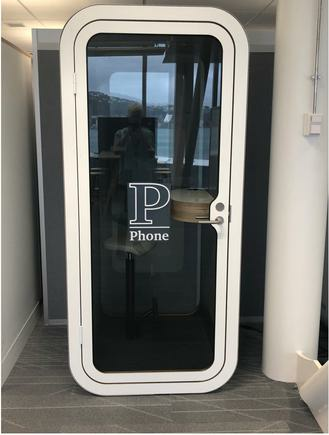 A southern right whale frolicking in Wellington harbour offered a great opportunity for PwC to check the new technology tools in their waterfront office. 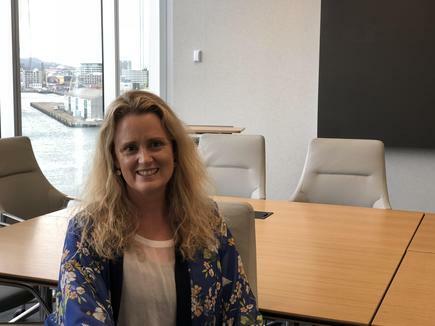 The whale made its rare appearance on the week the Wellington staff of PwC moved to their new building on the waterfront in July this year. 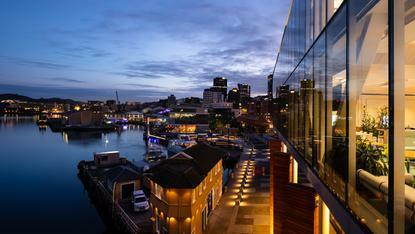 While traffic stalled as people flocked to the harbour, the PwC staff had a vantage view from their office. “Everyone was at the window. 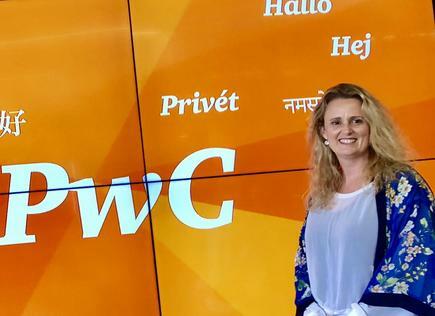 It was amazing,” relates Rebecca Thomas, chief information officer at PwC. “We had fancy cameras and we can zoom in on the whales. We never thought of that,” says Thomas. While based in Auckland, she flew to Wellington for the week to oversee the move. Their previous office was from a building on The Terrace. She shares that there were little and major touches throughout the building that made a lot of difference in the way people work. 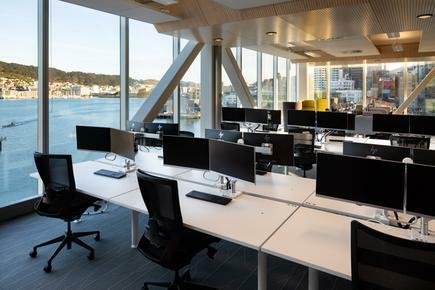 In the meeting rooms, a LED screen was placed so that it would not block the view of the harbour. 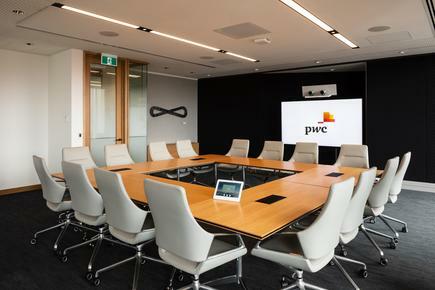 It was in these rooms where PwC staff were able to watch the whales while at work. Thomas gave CIO New Zealand a potted tour of the Wellington office. She explains the Auckland team will move to similar facilities that are being built in Britomart. 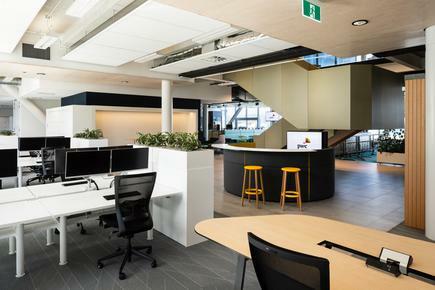 The waterfront office is kitted out to be open plan, with no permanent desk for staff, and meeting rooms with equipment for video conferences and presentations. 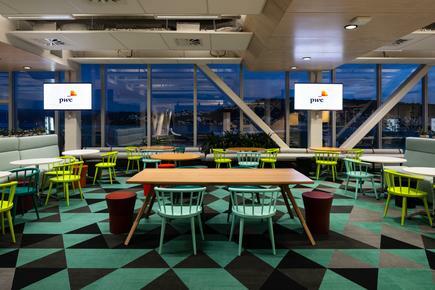 The move is all part of PwC’s focus to drive ICT innovation across the organisation. 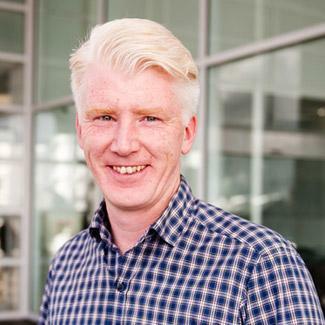 Thomas and her team are tasked to deliver hardware and software tools for productivity, mobility, flexibility, and collaboration. 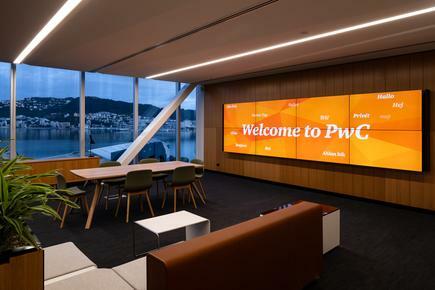 To prepare the staff for the move in Wellington, early this year, they showed a video where Mark Russell, technology and transformation lead partner at PwC, explained the new technology rollout. Thomas shares they also had showcases on how the new office would look like. She relates that on the first day they moved into the new building, she was at first nervous on how people would take to the new environment. They were meeting new people as there are no permanent desks. 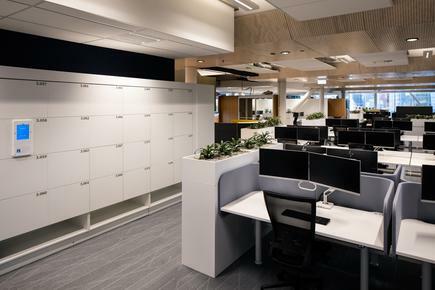 The staff have lockers where they can store their personal stuff as they are expected to work in different areas of the building depending on their current projects. She says key to the programme is working with “amazing vendors” so they can put all of these features together. 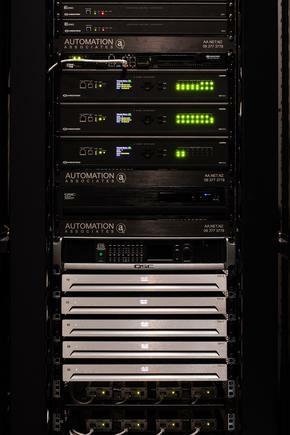 She discloses that Spark New Zealand and Automation Associates played key roles in the design of the room. 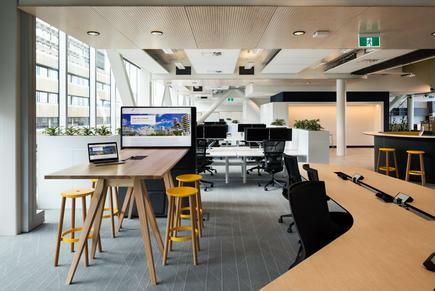 They worked with Vodafone and Two Degrees on mobility, so there are no “big clunky deskphones” on site. 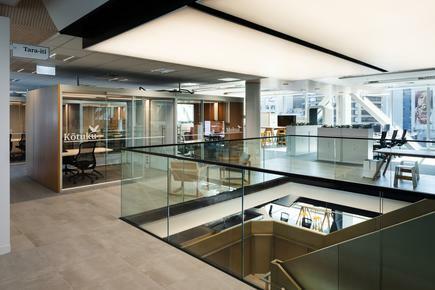 They use the Smartalock smartphone app and a fully self-service approach so employees can use their building access card, the app, or a pin number to use and release their lockers. HP provided the laptops and monitors. She shares that among the favourite features of the building is what the employees call the ‘Superman booth’. It is a soundproof kiosk where people can make phone calls. “It is also all about getting the right team,” she adds, and these included their vendors. 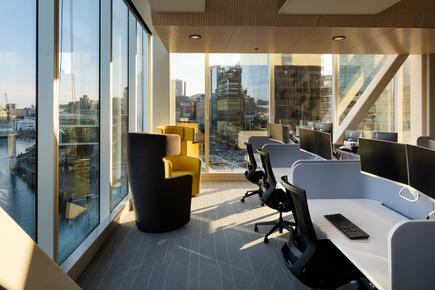 Thomas says the collaborative environment starts right from the design of the building. “It is beautiful and elegant, without being pretentious and intimidating,” she points out. 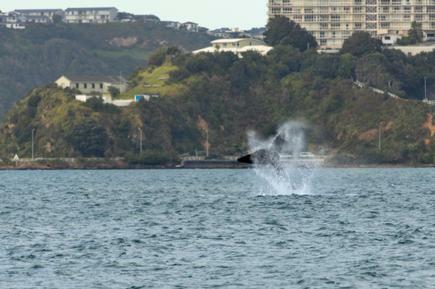 She reveals that when she visited the Wellington office in August, there was another whale sighting on the harbour, this time of a mother and her calf. “It is auspicious,” she says, smiling.